It’s always nice to see a past project appear in the news. 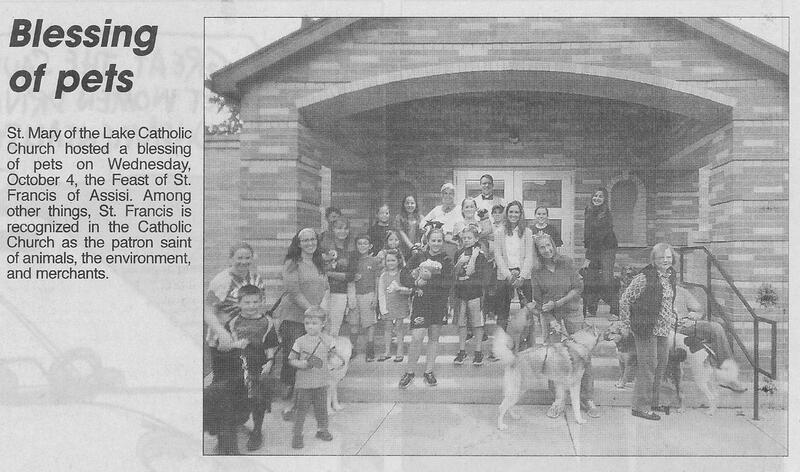 The picture at the right, borrowed from The Pilot News, Thursday, October 5th, 2017 shows the North Addition to the St. Mary of the Lake Catholic Church in Culver, which was completed in 2007. 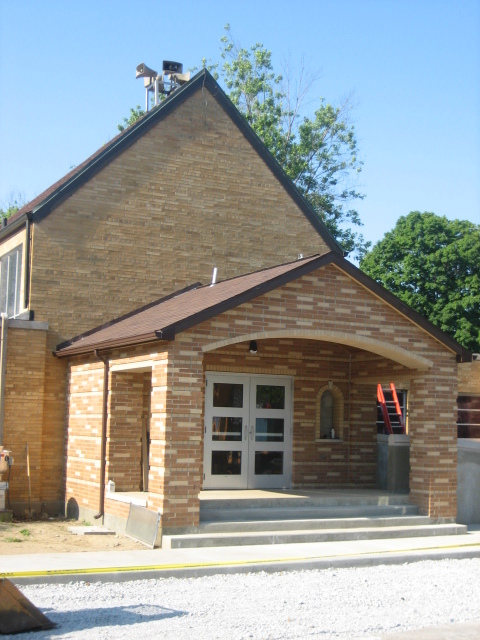 We have completed several projects for St Mary of the Lake Catholic Church in Culver over the years. We appreciate being one of their go-to contractors and are proud of the work we have completed in partnership with them. We have completed minor and major renovations at the Church, some of which are listed on our website, working with three different priests and building committees. The North Addition project created a handicap accessible entrance to a newly created Day Chapel behind the alter. We were extremely pleased with how the brick matched and the floating arches came together for this project. We’re also please to see it being used a the backdrop for photo ops like this. 10 years later, it has become an established fixture for the Church. The picture to the left, borrowed from the St. Mary of the Lake website shows the steel, wood and glass dividing wall that we installed between the Day Chapel and the Sanctuary. Below is a color picture of the entrance as it was being completed in 2007.